Hangzhou Normal University (simplified Chinese: 杭州师范大学); traditional Chinese: 杭州師範大學; pinyin: Hángzhōu Shīfàn Dàxué), or Hangzhou Teachers College, is a public university located in Hangzhou, the capital of Zhejiang Province, China. 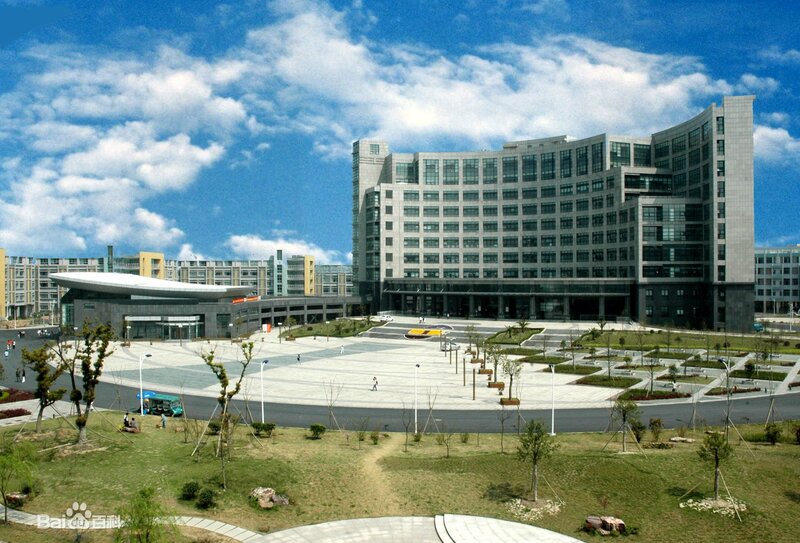 It is a comprehensive university with an excellence in teacher training and professional development.Having merged with Hangzhou Education College and Hangzhou Medical Junior College, HNU comprises nine campuses with a combined area of 513,590 m².HNU has nearly 12,000 full-time students, 9,000 of whom are undergraduates. Of over 1,000 teachers, over 100 have a doctorate degree or are Ph.D. candidates, and 283 have a master’s degree. There are nearly 490 professors (researchers) and associate professors (associate researchers). In 1905, the governor of Zhejiang Province founded a teaching school, aimed at training teachers for high schools and primary schools for the entire province. In 1908, the school was named as Zhejiang Official Secondary Normal School (浙江官立两级师范学堂) and located in the original address of Zhejiang Gongyuan (浙江贡院). Shen Junru was appointed as supervisor in 1909. In 1912, under the guidance of the Education Department of the Republic of China, the school became one of the six well-known higher teacher education schools at that time. It issued its own publications, such as “Baiyang” (白阳) and “Zhejiang Trendy” (浙江新潮), and set up clubs, such as Music Rock Club (乐石社), Lakeside Poetry Club (湖畔诗社), and Mingyuan Club (明远学社). Educationist Jing Hengyi (经亨颐) was the Principal then; famous masters such as Li Shutong (李叔同) and Lu Xun (鲁迅) once taught there; Feng Zikai (丰子恺), Qian Xuesen (钱学森), and Pan Tianshou (潘天寿) once studied in this school. When the Japanese invaded Hangzhou during World War II, the school was relocated in several places, such as Jiande (建德) and Lishui (丽水), and was moved back to Hangzhou after the war. The school has been under direct jurisdiction of the Hangzhou Municipal Government since 1954. 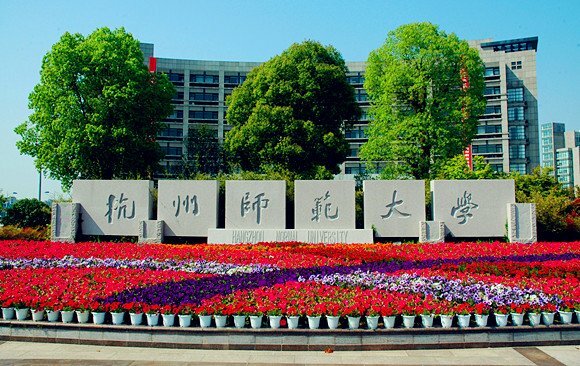 In 1978, the State Council approved to found Hangzhou Normal College (杭州师范学院), which was approved by Ministry of Education (China) to change its name to Hangzhou Normal University in March 2007. In 2010, an educational proposal was jointly submitted by Sun Zhonghuan, Zhao Guangyu, Yu Jialing, Zhu Zude and Chen Xiaoping, three municipal officials of Hangzhou. They together suggested changing Hangzhou Normal University to be Hangzhou University, because this university had reached the level of old University of Hangzhou. However, many provincial & municipal officials and dignitaries obviously rejected it. This was a widespreading but resultless proposal in the end. Hangzhou Normal University Medical College is a university in Hangzhou, Zhejiang Province, People’s Republic of China. It has grown out of the former Hangzhou School of Zhejiang Medical University which was founded in 1979. In 1994, the school was renamed Hangzhou Medical Junior College. In 2000, it combined with Hangzhou Nursing School (founded in 1917). In July 2001, it was merged into Hangzhou Teachers College. 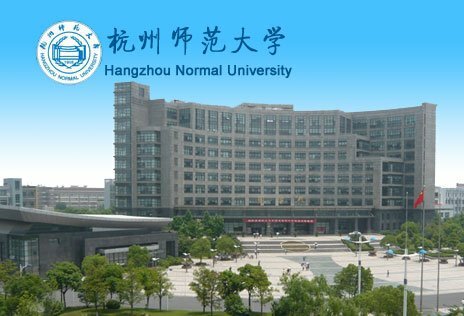 In March 2007, it was renamed Hangzhou Normal University Medical College as Hangzhou Teachers College was renamed Hangzhou Normal University. The Medical College has 260 staff members, among whom 39 are professors and 80 are associate professors, including 3 doctoral supervisors and 30 master student supervisors. At present 2405 full-time undergraduate and master students are studying at the Medical College. Anatomy, Physiology, Biochemistry, Histology, Embryology, Pathology, Pharmacology, Forensic Medicine, Microbiology, Community Medicine, Clinical Orientation, Internal Medicine, Surgery, Diagnostics, Pediatrics, Gynecology & Obstetrics, Otolaryngology, Neurology, Infectious Diseases, Emergency Medicine. After more than half a century, Affiliated Hospital of Hangzhou Normal University (Hangzhou City People’s Hospital) is a financial health care, teaching, research, prevention and health care among three general hospitals in Zhejiang province. It is the national first-class units at level III, which have 1000 beds altogether. There are count for 200 million advanced and precise apparatus and equipment. In 2008 year, a new 23-storey building has been completed and put into use for medical care, teaching and medicinal services in the hospital. More than 200 experts are working in hospital. Hospital has 36 clinical departments and 13 medical technology departments The hospital has MRI, 32-slice CT, all-digital flat-panel angiography (DSA), DR, and CR, the central monitoring system, the Zeiss operating microscope, an artificial kidney, video laryngoscope, Gastroscopy, colonoscopy the Nuctech Excimer Laser, the United States and other imported advanced medical instruments and equipment to meet the needs of the subjects of diagnosis, treatment and teaching. On campus there is a campus infirmary, Canteens, bank ATMs, campus supermarkets, laundries, book stores, etc. The university has various kinds of sports venues and facilities, including stadiums, outdoor courts for playing volleyball, basketball, football, venues for track and field events, swimming pools, gymnasium, etc. open to all students. There are some convenient living facilities such as large-scale public hospital, bank, post office, supermarket, cinema, gymnasium, Parks and so on around the campus. Xiasha has a very convenient transportation advantage. More than 10 bus routes are put into use from Xiasha to downtown, among which Bus Rapid Transit (BRT) B1 and B4 run every 3 to 5 minutes, and it takes only 30 to 40 minutes to reach the downtown from Xiasha. The BRT buses run between the Huang Long station and Xiasha .The Subway Line No.1 which is under construction now will be put into use in 2012. Then it will only take 20 minutes or so to reach the city center from Xiasha.The taxi flag-down fare in Xiasha Higher Education Zone is 5 Yuan for the first three kilometers. The highlights of the education are the humanities, social sciences, natural sciences and medical sciences. The most famous majors are Art and Classic Chinese Literature. More than 150 Foreign Students are already studying in MBBS Program. PG Program in Medical Subjects is running successfully in HNU. 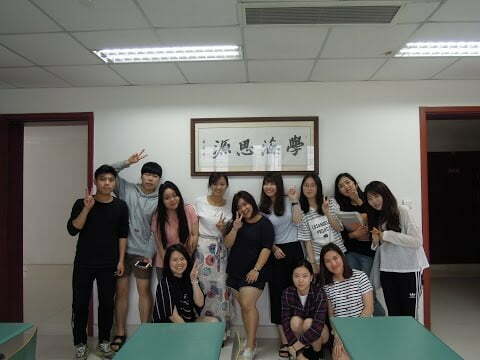 Competent, highly qualified staff & friendly environment for International Students.